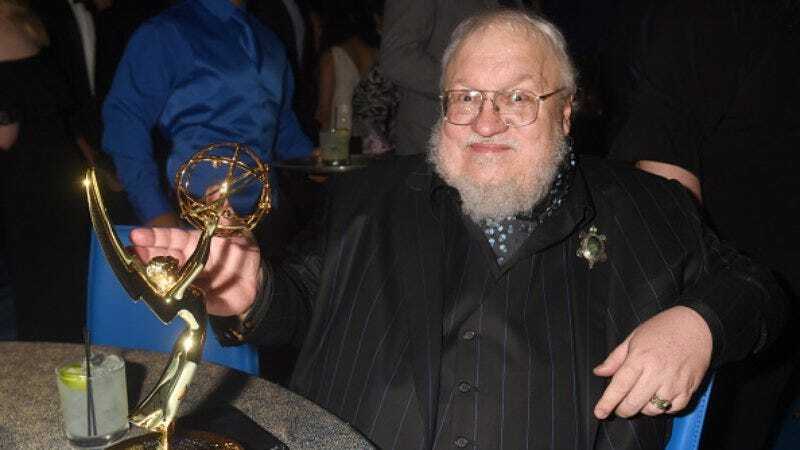 With at least one potential Game Of Thrones spin-off in sight, George R.R. Martin will be in the TV business for a while. It was only last month that Syfy picked up an adaptation of his novella, Nightflyers, which it described as a “paranormal meets space drama.” “Think The Shining in space,” bragged NBCUniversal’s Chris McCumber, though he wasn’t referring to Event Horizon (that’s what we think of, anyway). Few other details were given at the time, but a cursory search for Nightflyers reveals that it’s a nearly 40-year-old book about a team of scientists whose intergalactic voyage is upended by the ship’s computer, and the discovery of an alien species (which sounds more like “Alien meets 2001: A Space Odyssey,” but maybe that’s just the book). Nightflyers was adapted for film in 1987, but now Syfy is moving forward with the series, having just ordered a pilot, Variety reports. Jeff Buhler, the Jacob’s Ladder remake scribe, has written this new adaptation, which will center on “eight maverick scientists and a powerful telepath who embark on an expedition to the edge of our solar system in the hopes of contacting alien life.” But “terrifying and violent events begin to take place,” and they slowly start to turn on each other. Syfy hasn’t announced a start date or cast yet.